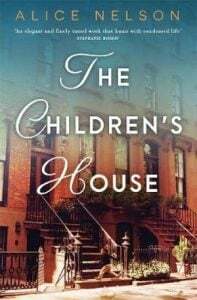 The Children’s House by Alice Nelson is a Better Reading Preview title, meaning that a handful of lucky readers were able to review the book before anyone else! The Children’s House is a hope-filled novel exploring the profound consolations that we can find in each other, and Preview reviewers have been giving it a lot of praise, describing the book as heart-wrenching, emotionally powerful, and mystifying. From every twist and turn of the characters’ lives, to the novel’s well painted scenes and big, warm heart, The Children’s House stands out as one of the finest and most deeply rewarding reading experiences of 2018. Just look at these reviews!